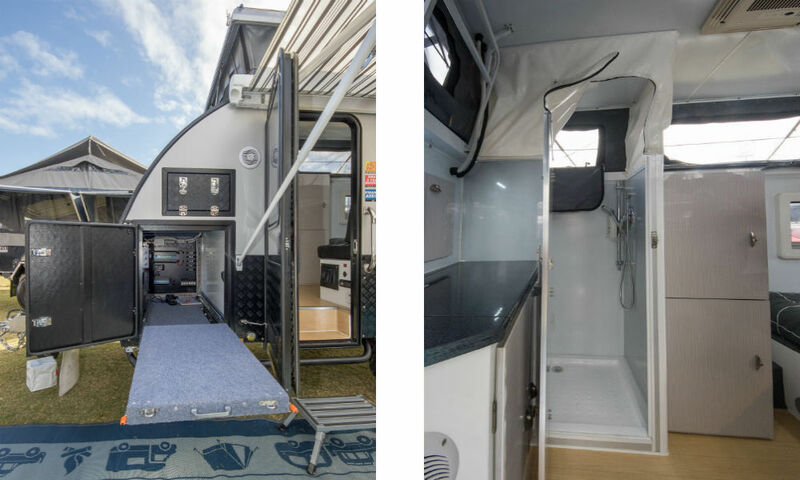 Lets face it – most 12 & 13 foot hybrid campers with ensuites are starting to look very similar. 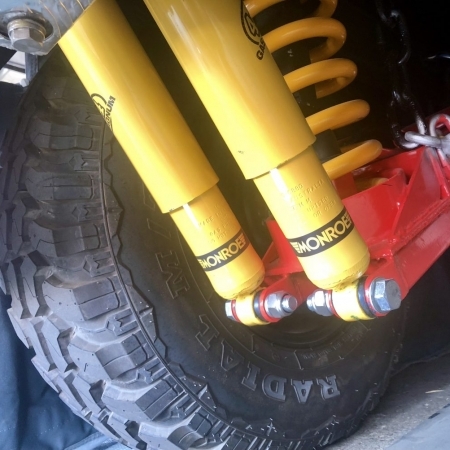 The design is proven and it seems everyone wants a piece of the action. 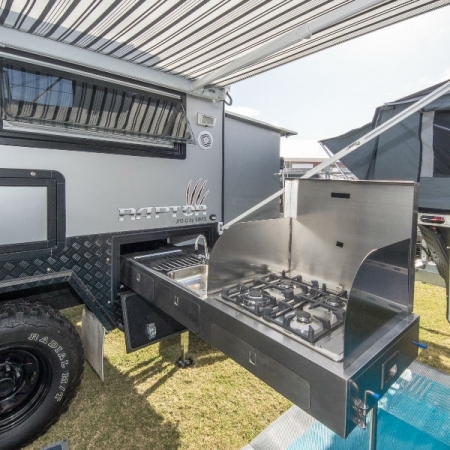 So what makes the RAPTOR X12-Q different?? 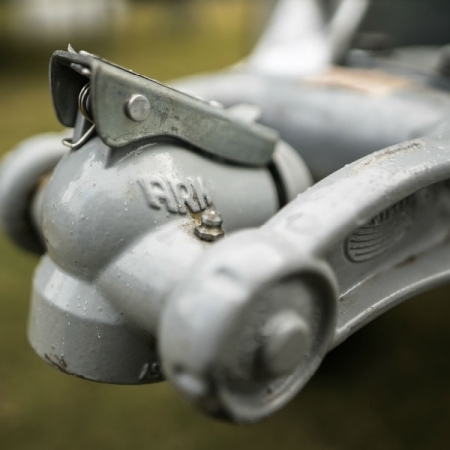 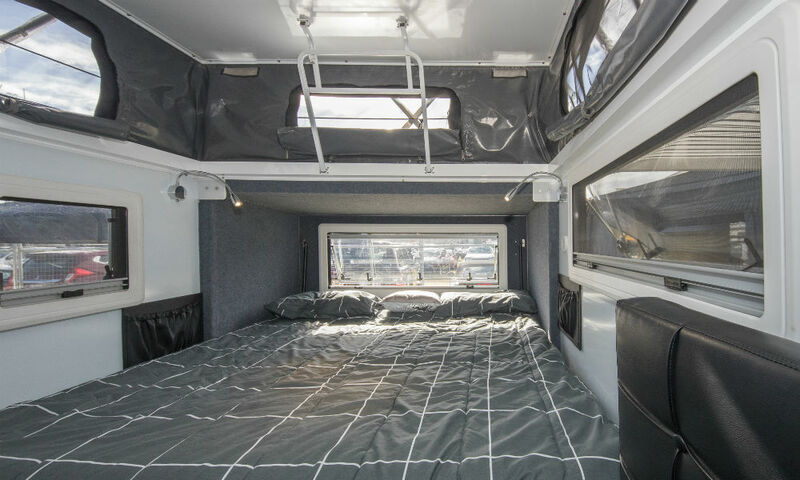 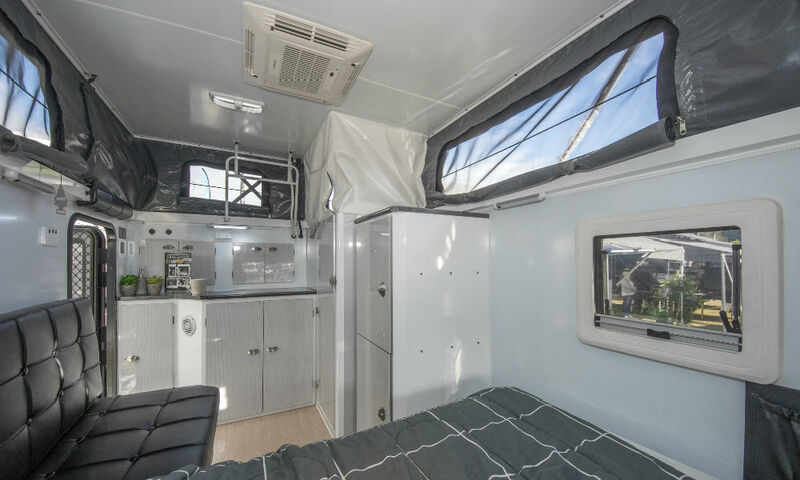 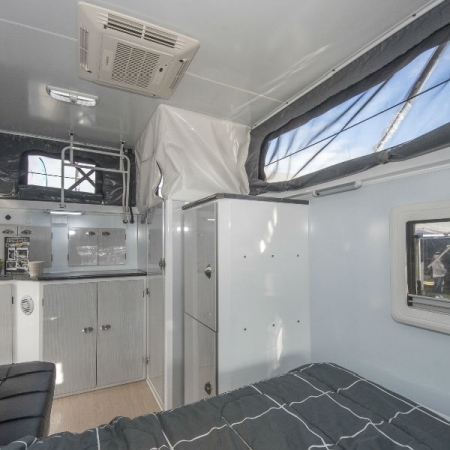 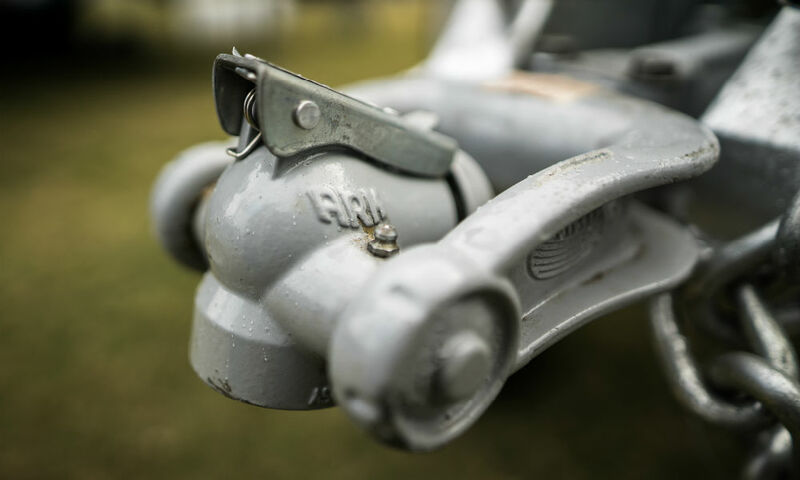 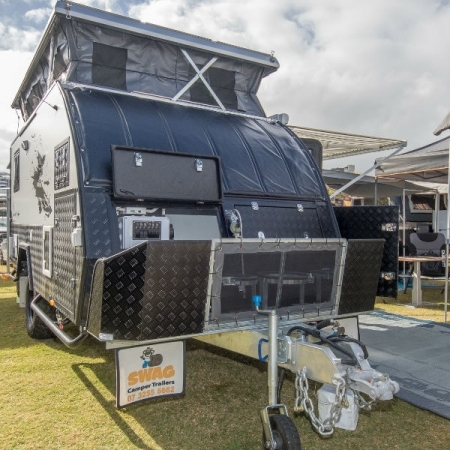 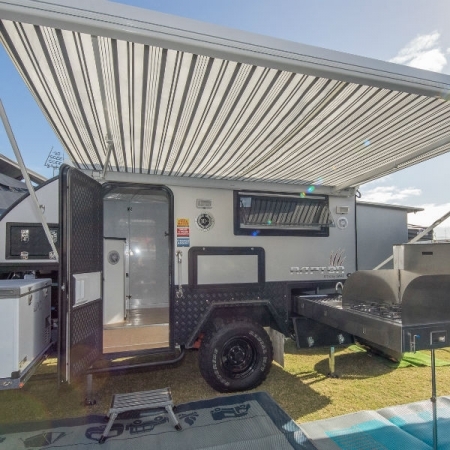 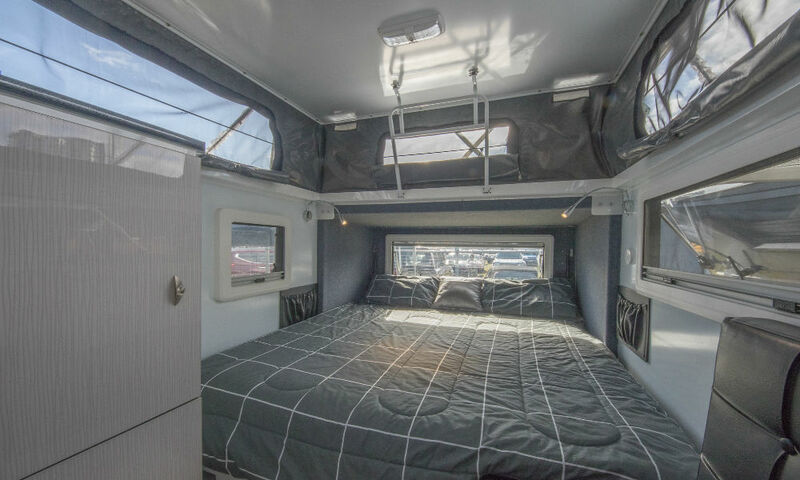 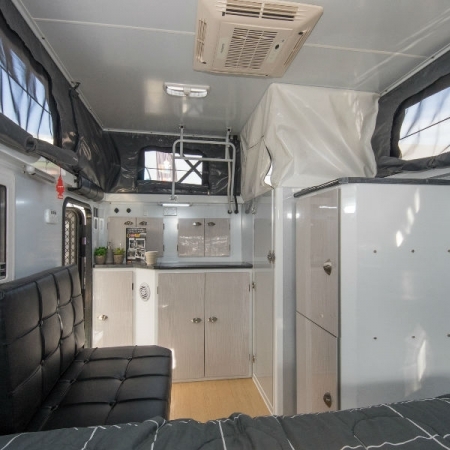 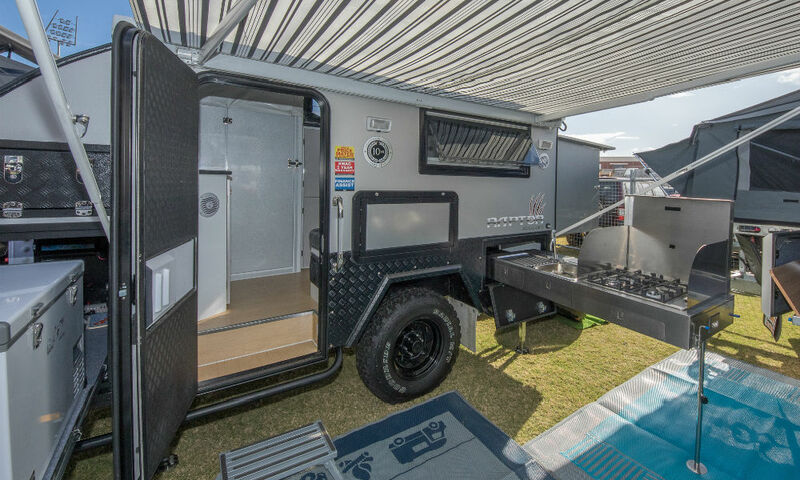 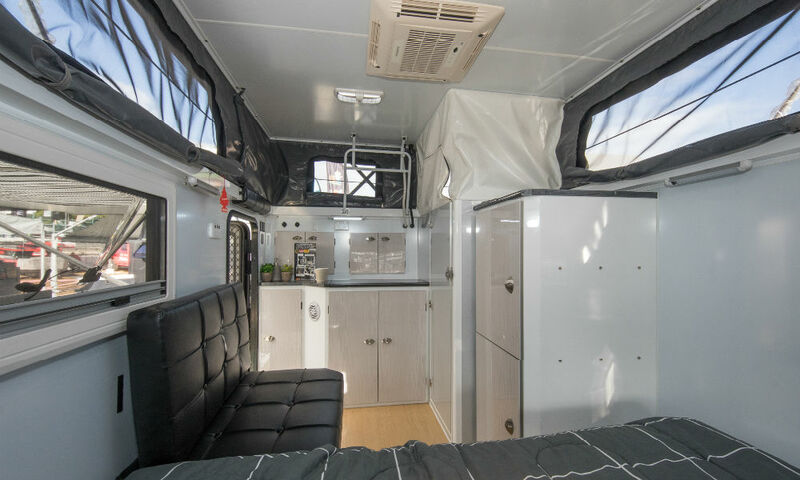 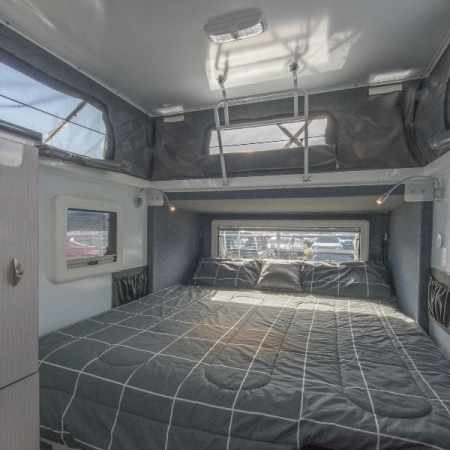 To start with, SWAG have been manufacturing and designing campers for the Australian market since 2008. 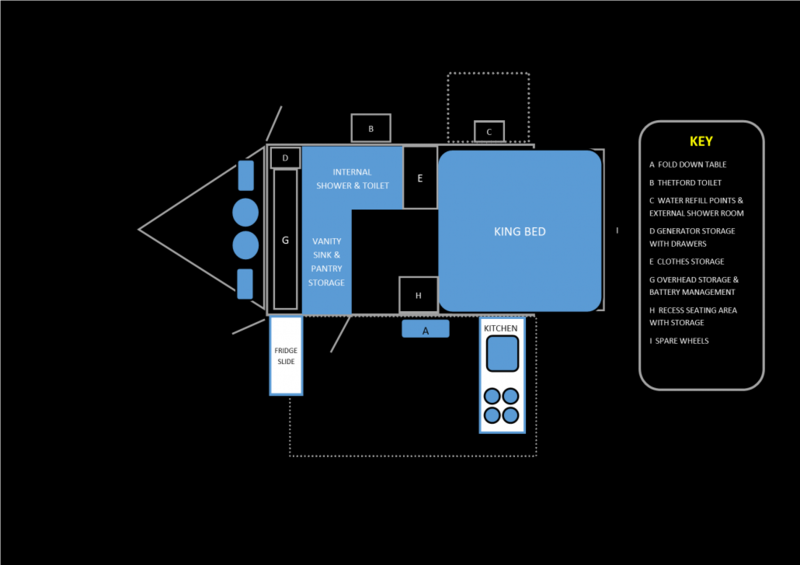 That in itself says something. 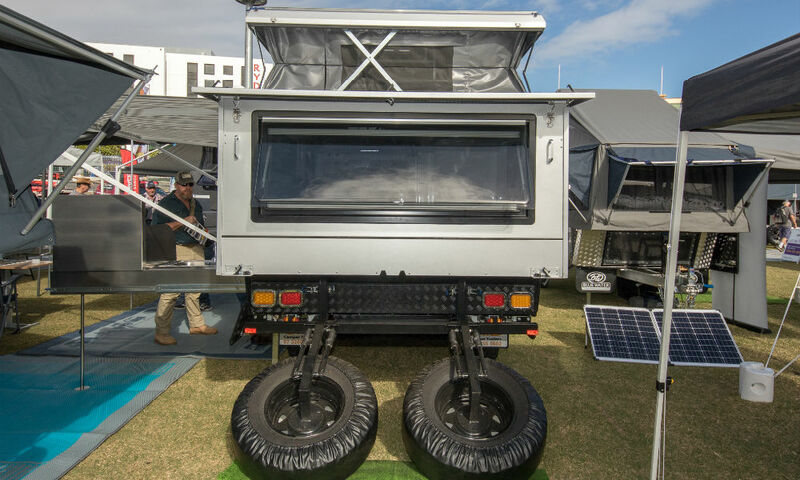 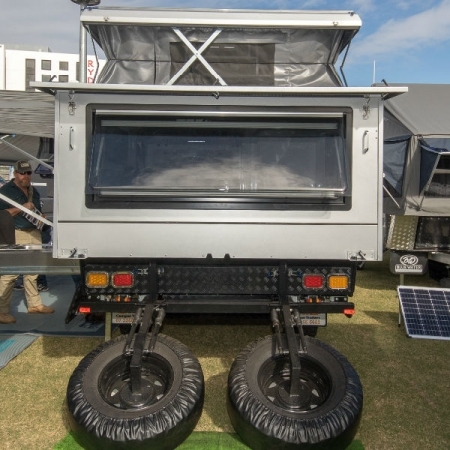 The X12Q is a well balanced camper with Full Off Road capability. 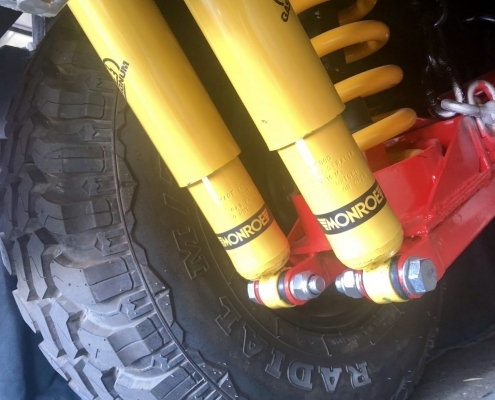 The trusted trailing Arm suspension with MONROE Off-Road shocks, 16in Off-Road tyres and super strong 150x50x4mm Q345 steel drawbar provide stability and toughness. 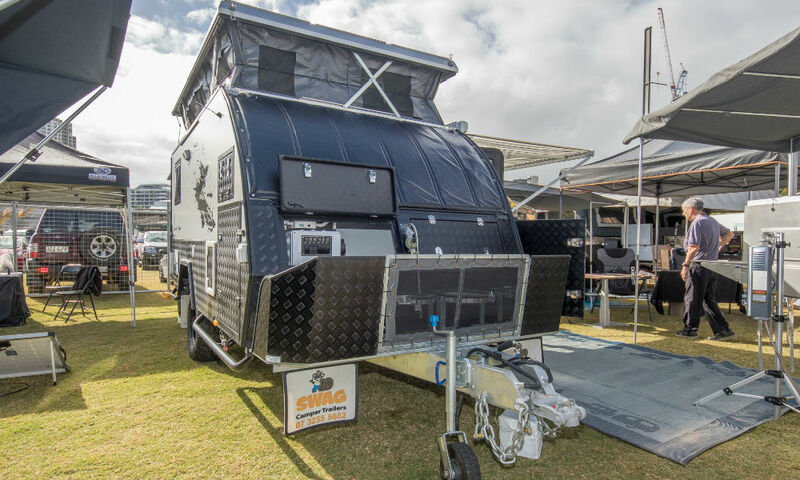 SWAG fit their hybrids with quality FIAMA water proof awnings which opens up a range of opportunities for the customer. 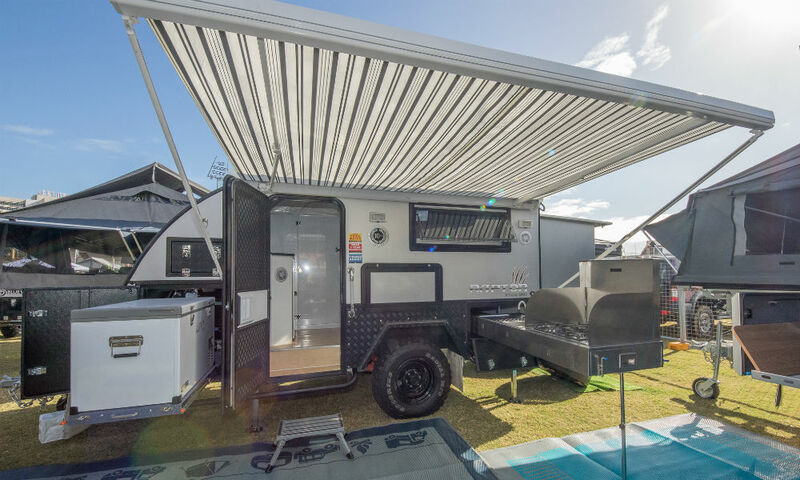 Walls, privacy screens, & annexe systems can all be added to this proven performer. 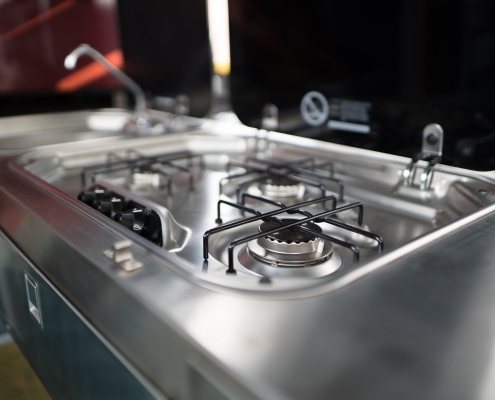 With trusted brand names like ARK, TRUMA, DOMETIC, THETFORD & SEAFLO added to the mix, you can tell that these guys have gone for reliability rather then the normal mass produced approach. 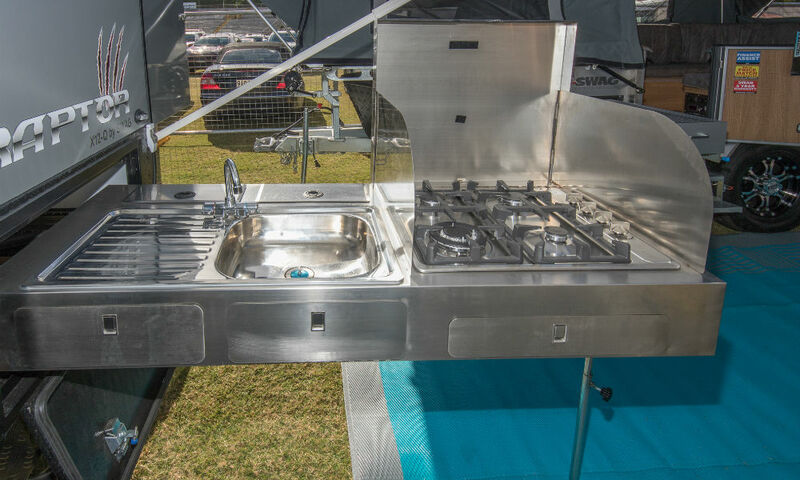 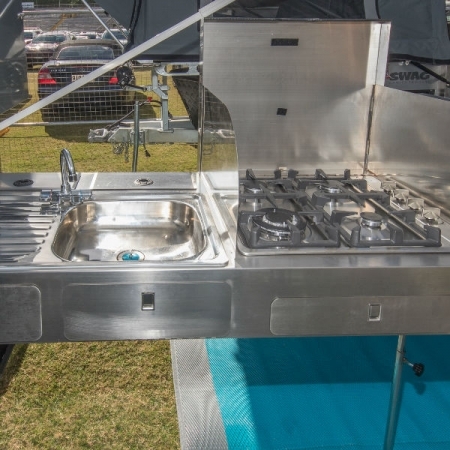 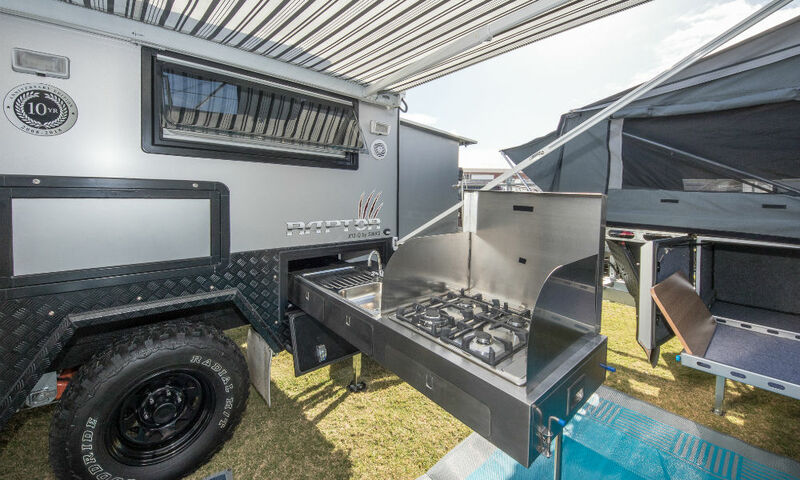 The large outdoor kitchen features plumbed hot water to the sink along with a huge 4 burner gas cook top. 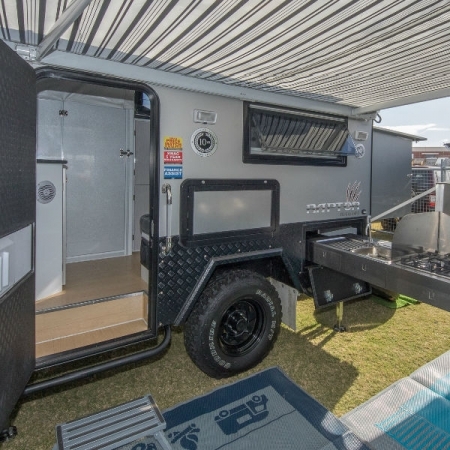 Just behind you will find a large fridge slide with capability to house an EVAKOOL 80Litre fridge. 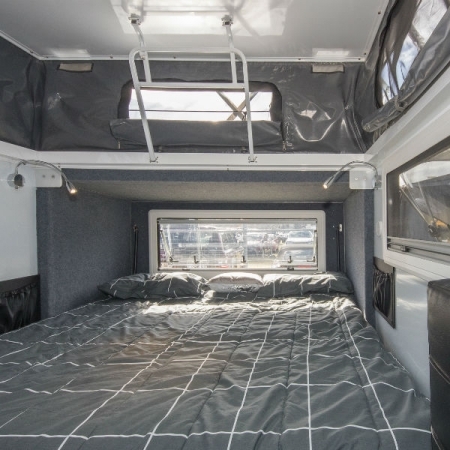 Inside there is loads of storage options along with the full battery management, inverter and KING size bed. 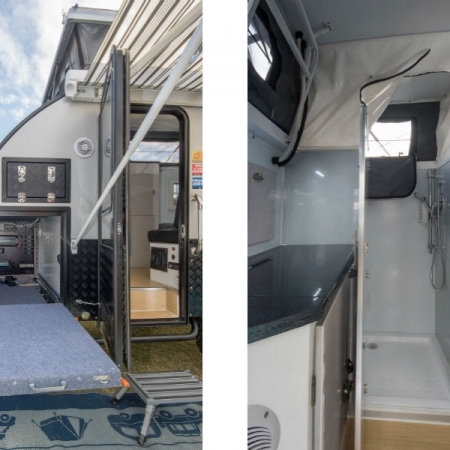 Other facilities include an internal hot-water shower, Thetford toilet and handy vanity sink.